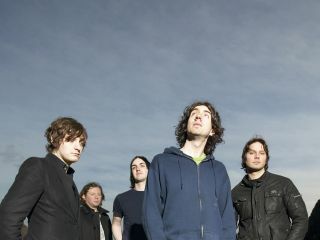 Snow Patrol release their fifth studio album, A Hundred Million Suns, on 27 October, and singer/guitarist Gary Lightbody has revealed that some of the band actually took lessons before entering the studio in order to improve their playing. Lightbody told MTV: "We really had to step up a gear to meet the ambition that we had. We're all reasonably good musicians. I just think that, between the five of us, we make an awesome noise. We fit. We wanted to do something extraordinary this time, and we really needed to shape up to do it." A Hundred Million Suns looks set to be a departure for the band on several levels. It's not a morose break-up album for starters, and producer Jacknife Lee has encouraged the band to experiment: "When people hear this record... it's such a leap, sonically. [Lee] has changed the sound of the band into something dramatically more convincing and exciting." Of course, even the most famous musicians can learn a thing or two. Tool's Adam Jones was once given guitar lessons by Rage Against The Machine's Tom Morello, and Joe Satriani famously taught both Steve Vai and Kirk Hammett. It's nothing new for shredders to be well-schooled in six-string acrobatics, but less common for indie janglers like Snow Patrol.